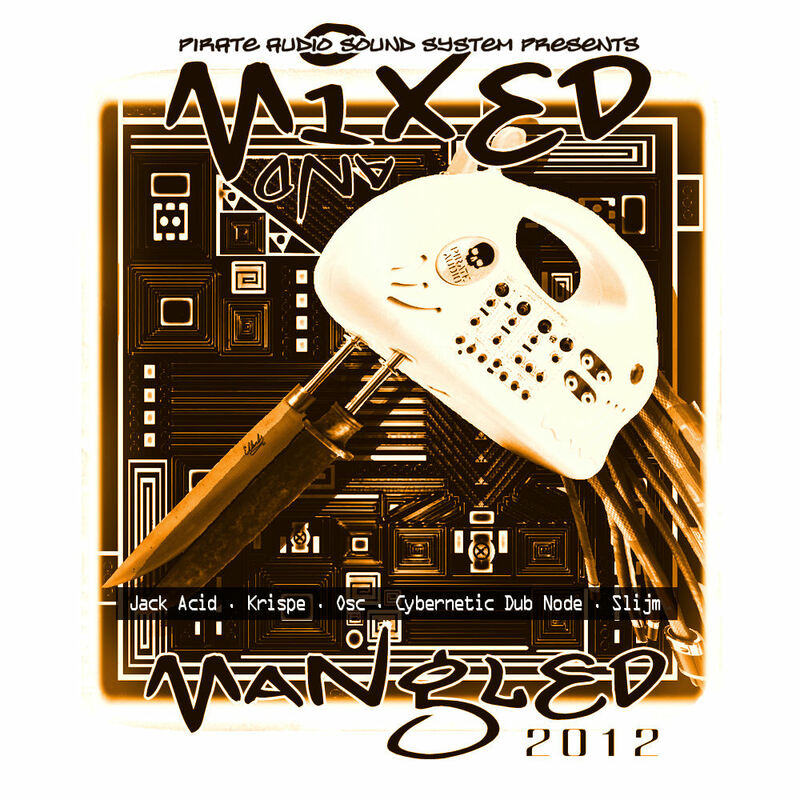 P.I.N.23 is proud to announce the release of the Pirate Audio Mix n Mangle compilation. Members of the Pirate Audio Sound System collective created a group project where each member would submit 10 loops at a specified tempo, length and root key, to a group library. Then each pirate created a track using only the loops. The end results would be packaged together along with the loop library as a release. The outcome is our own genre, a unique sound created from junglists, techno philes and dub heads combined into a floor filling groove. We release this as a free album to the public, with the original source content for you to remix on your own.